Andrea Amodeo-Vickery attorney at law, joined the firm in 1978 and is a partner and shareholder at Borofsky, Amodeo-Vickery & Bandazian, P.A. In addition to representing thousands of plaintiffs and claimants in Personal Injury, Workers’ Compensation, Traffic and Employment cases, she also maintains a very active Criminal Law practice with a strong concentration in DUI Defense.Attorney Amodeo-Vickery has completed many specialized training programs conducted by the National College for DUI Defense, an elite group of lawyers and DUI Defense specialists recognized by the American Bar Association. 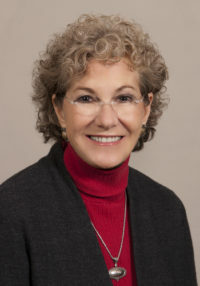 As a member of this group, she is dedicated to protecting the constitutional rights of those accused of driving under the inflluence of alcohol and drugs.In addition to being a Certified Breath Test Operator in New Hampshire, Attorney Amodeo-Vickery is also one of a small number of defense lawyers who has been certified in Standard Field Sobriety Testing (SFST), which is the battery of tests administered by the police to assess a driver’s level of intoxication.During her thirty years as a trial attorney, Attorney Amodeo-Vickery has developed a varied and statewide trial practice. The location of her practice makes it possible to represent accident victims from Massachusetts, Connecticut, Vermont, Rhode Island and New York, as well as out-of-state residents who are facing criminal or traffic charges in New Hampshire. To request your initial consultation, contact us by email, complete and submit the form on this page or call 603 625-6441 to schedule your consultation with a knowledgeable attorney.